Here's a weird question/request. I'm interested in finding out which road frames/models were made with 650c geometry but in full range of sizes (i.e. had 56-60cm available). I'm hazarding a guess that it's mostly vintage bikes, but if there are any modern road models that I'm unaware of, please chime in. So far, my research has led me to a few Nishiki models (NFS, Altron), some Centurions (models not sure of) and TT/Tri frames by QR and others. I think there were also a few aluminum Cannondales 2.8. I'm looking for round tubes primarily and steel/aluminum are both good. 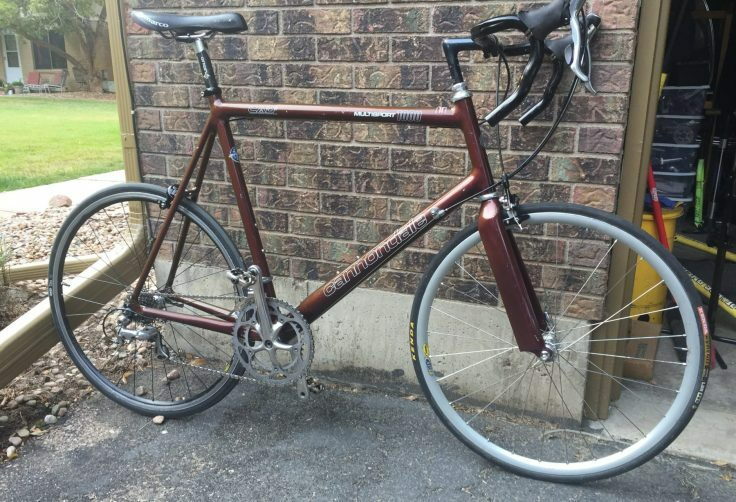 I think Schwinn Paramount had a 650c model in the early 90s (Series 7 PDG?). See this link for a brief discussion. Good suggestions, keep them coming please. 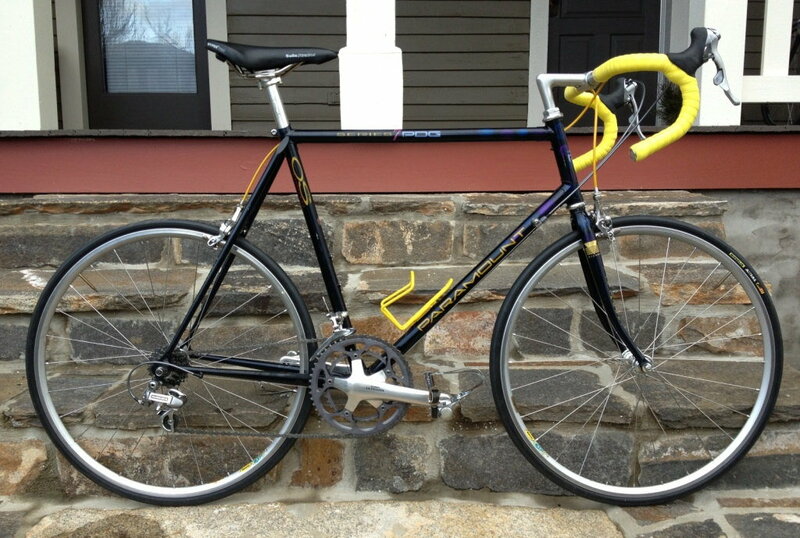 A LBS has a NOS 1992 650b Paramount OS frame for sale. They ordered it new when 650b wheels were briefly the rage. It's been on display since then. It was one of the last Paramount frames built by Schwinn before they went under. The frame is made with oversize True Temper tubing. It's hard to tell the frame size on these bikes but I think that it's a 60cm. 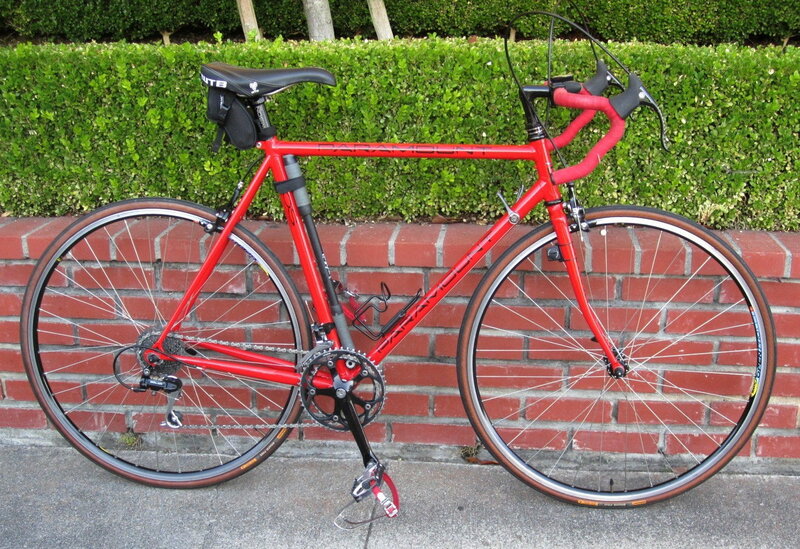 Ten years ago I bought it's sister, a 55cm Paramount OS frame for 700c wheels. It too had been hanging on display since 1992. The workmanship is perfect. It rides and handles like a dream. Last edited by verktyg; 03-21-19 at 01:53 AM. You may get more results on the Nishiki if you search under Alpha and Beta. While they were part of the Cunningham designed NFS (Need For Speed) series, many owners simply call them an Alpha or Beta. The NFS Altron was the dedicated triathlon bicycle but the angles were standard road geometry. 650C is a viable alternative if you want lighter and more responsive wheels without the higher maintenance and cost of tubulars. However, the tyre selection is far more limited than 700C. I have a new old stock Gardin 650 C frame. There was a brief trend in the very early 90s for 26x1" road bikes (nobody said 650C at that time). I remember seeing a few manufacturers pushing it at Interbike in 1990 and 1991, IIRC. The idea was that the wheels were stronger, lighter, and more aero. It's the same rationale that Moulton used decades earlier for small wheel size, but 26" was big enough to satisfy the UCI rules. Not sure if they still do. At any rate, if this is what you're looking for, that's the time period to search. It was a pretty minor trend and died out quickly. Road bikes weren't exactly popular then anyway. They were marketed oftentimes as 'tri' bikes. Thank you all for the history lesson! That Paramount is a beauty! The Nishiki NFS were the ones that really caught my eye, and are my favorite of the 650c frames I've seen. There are plenty of bike travel cases for 700c bikes that work with airlines. For example, Ritchey itself sells a travel case that works with their 700c Breakaway bike. Otherwise I would still look at 26". There are relatively lightweight rim options out there. Here are some that are under 500g a rim. Some of these are discontinued but I know for a fact you can get the Aeroheat. Plus there's a host of vintage MTB rims that are pretty light. You couldn't pay me to ride 26"x28mm Gatorskins. Compass/Rene Herse has a variety of 26" tires under 2" (including the 1.25"/32mm Elk Pass) that are going to weigh a lot less and feel way better on the road, not to mention being faster than the Gatorskin. There's also a very lightweight tire under the Fairweather brand made by Panaracer that uses the Pasela tread mold but with a very lightweight, supple sidewall, that will ride better and faster than a skinny tire like the Gatorskin. 650c would be the method of last resort for me. It's just not a good wheel format if you are looking to own the bike for a long time. Last edited by TenGrainBread; 03-21-19 at 11:33 AM. Almost all of my personal rides use 650c wheels. I'm a shorty at 5'4, and 700c frames in my size have gobs of toe overlap. 650c frames in my size have more reasonable proportions, so that's my sweet spot. Having said that, there are problems. Tire selection is the most obvious, but don't forget tubes, as they are not as widely available as 700c. And if you need long valve 650c tubes for deep section rims - well, that's even more exotic. Not something a bike shop would necessarily stock, and almost all my wheels are deep section, so I can't cheap out and use a shorter valve stem tube. Tires and tubes also tend to be more expensive, as they are produced in lesser amounts. And don't get me started on tire & rim combinations that won't work in any parallel universe, much less ours, where they are supposed to be the same size. Getting a pair of clincher tires on 650c Hed carbon trispokes was one of the most difficult tire mounting jobs I've ever done. Bottom line: I wouldn't wade into 650c waters unless you absolutely have to. This might play in with the ones you didnt want to see.. but it is Aluminum and has round tubes.. except for the fork.